Kellogg Community College’s men’s basketball team lost its latest home game 83-75 Saturday against conference opponent Kalamazoo Valley Community College. Leading the Bruins on the court were Daleon Graham (Battle Creek/Lakeview), who had 12 points, 7 rebounds and 2 blocks; Khylen Watkins (Battle Creek/Harper Creek), who had 22 points, 3 rebounds and 3 assists; and Jalen Robinson (Belleville/Belleville High School), who had 10 points, 5 rebounds and 3 assists. Head Men’s Basketball Coach Ben Reed said it was a tough loss for the Bruins, as they had a chance of getting the first win of the season but didn’t execute down the stretch. 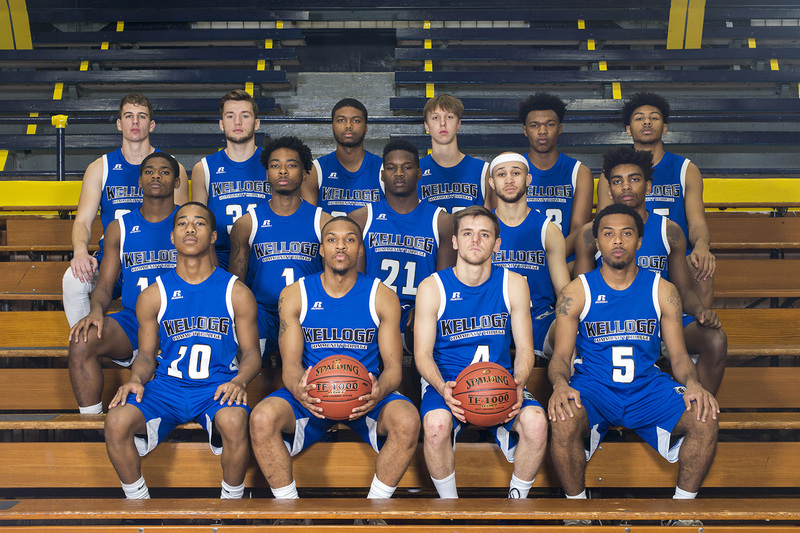 The team plays next at 7:30 p.m. Wednesday, Jan. 17, against conference opponent Mid-Michigan College in Mount Pleasant. The Bruins’ next home game starts at 3 p.m. Saturday, Jan. 20, against conference opponent Jackson College at the Battle Creek Central Fieldhouse, 162 Champion St., Battle Creek.